Flock to Magnolia Manor Park-The work is underway! Kathy and John Carlson’s work was the inspiration for the Birdhouse making workshop coming up September 18th, 1-3 pm, at Magnolia Manor Park. Kathy and John Carlson’s Birdhouses & Garden Benches back-yard store sells locally near Magnolia Manor Park. John Carlson will be at the Sept. 18th Event. On your way to Magnolia Manor Park you have probably noticed John and Kathy’s backyard. It’s for the birds, really! It is filled with fun sights and woodworking wizardry. Making birdhouses and benches of many shapes and sizes out of re-purposed wood and fun gadgets like: a door knocker, a rusted door bolt or a fork artistically wrapped in wire (as the perches) is their thing. This has been their hobby since John retired from the Seattle Police Force over 10 years ago. He and Kathy collect interesting objects, do one of a kind and custom work. They hang their wares in their back-yard store – the inventory is always changing. Like rural fruit and flower stands hand-made signs direct you to pick what you want and leave your payment. Did you know the holes have to be a certain size to attract the local birds? 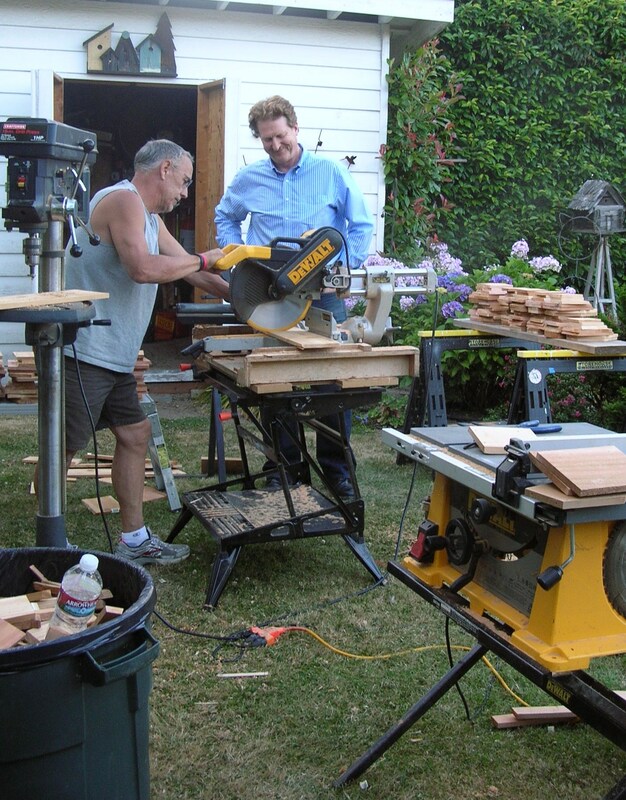 George Tracy, event chair for Friends of Magnolia Manor Park, co-incidentally in the construction business by trade; and, his crew John, Bob Seldon, and Jon Wooton are busy in their workshops getting the kits ready to go! 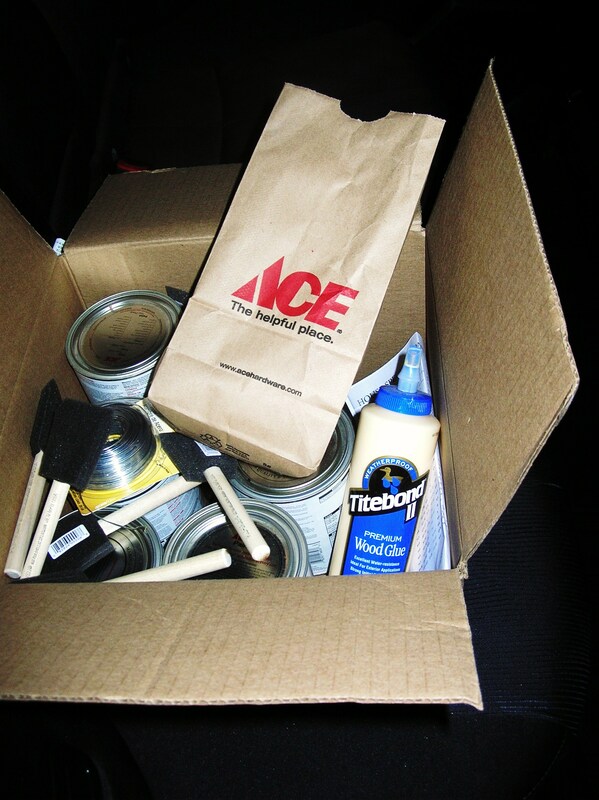 Home Depot Aurora, and Magnolia’s Ace Hardware have joined the team in getting supplies ready and waiting for the September 18th event. 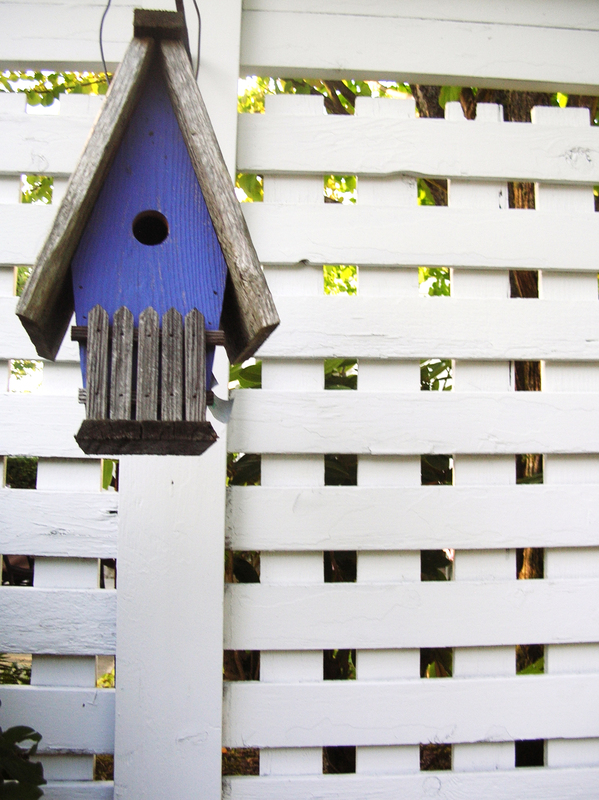 It will be a family affair with parents and kids building their birdhouses. Walk the park and talk to Site Workshop’s, Jim Keller, our landscape designer and neighbor to the Park. 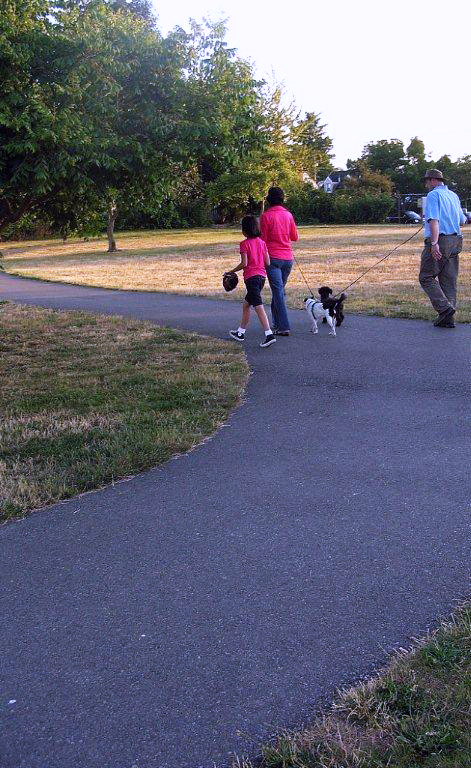 Kids can create chalk art on the paths and parents can learn about the future plans for Magnolia Manor Park – walking paths, P-Patches and the dog Off-Leash area! The suggested donation per kit is $15 dollars. We hope a lot of you will come support the cause, and meet the Steering Committee who is moving us along the path toward realize the making of Magnolia Manor Park. Don’t be surprised if the Umpqua Bank’s ice cream truck comes to the party and also deliver elves that will help us knock on wood for our first fund raising effort! Follow us on Facebook. Next Steps on the Path to Magnolia Manor Park! This means that we are on our way to creating Magnolia Manor Park with elements the community helped design and said they wanted! And, we will be able to have some fun events at the Park, (our birdhouse making workshop will be September 18th, Sunday at the Park, 1-3 pm, more information to follow; but, mark your calendars now! ), and Dogoween (in late October with dogs in costume, prizes, a raffle, silent auction and lots of fun!). 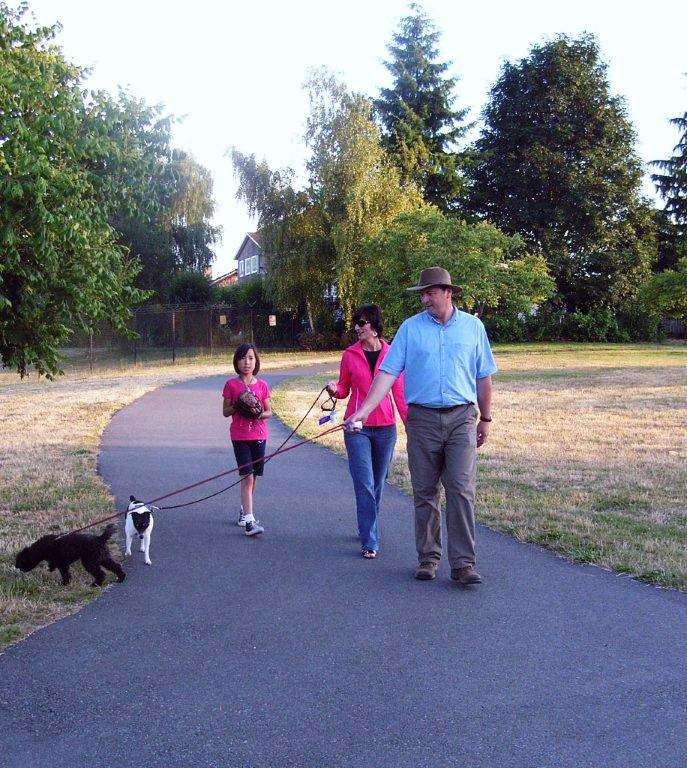 We are planning 2 more public meetings with you to refine the plan, and get the Park enlarged (almost tripled by re-configuring the fences to allow for the walking paths and the Front Porch lawn and landscaping; and, to work on the design of the off leash area and the P-Patches.) We will be announcing those dates soon as well. We also are about to launch the very important donation campaign with the goal of raising $175,000 by June 2012, to insure the Park elements are “done once and done right”! Donate today and volunteer to help us meet our ambitious goal! So, visit the web page often, a new look is in the works with tons of good information about how we can accomplish getting Magnolia’s first P-Patches and off-leash area and so much more at Manor Park! Soon you can like us on Facebook! The Steering Committee will meet at the park August 9th, at 7pm – feel free to join us as we all help in Making Magnolia Manor Park! And, as always feel free to email us!